I have always been intrigued by things beautiful; flowers happen to be one. Chancing upon DECO’s website one afternoon and fascinated by the realistic beauty and exquisiteness of her handcrafted clay flowers, it was a golden opportune moment for me as I set out to Hawaii to acquire craftsmanship skills under the tutelage of DECO’s greatest instructors, Yukiko, Ken, and Chen-Li. That was in 2007 and it has been an exceptional journey of floral clay-art for me since. 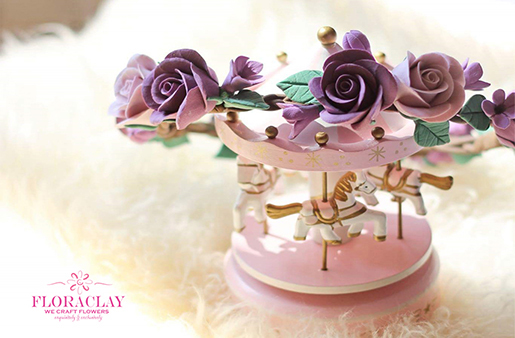 While there may be many DECO course offerings, I and FloraClay, Singapore primarily focuses on instructing the techniques of floral clay-crafting to those keen to learn the art. 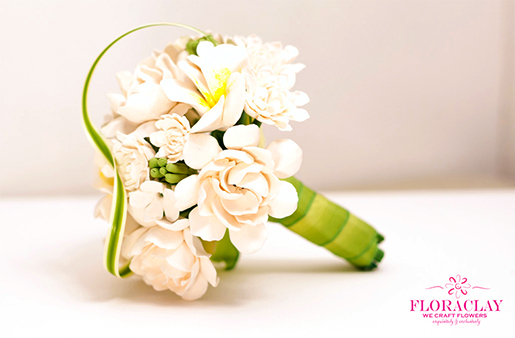 Hence, we offer the Flower and Tropical Flowers Curriculums in our studio. We do organize scheduled classes monthly and also co-ordinate lessons on a prior appointment basis. We understand sometimes you prefer to own finished pieces of our works. 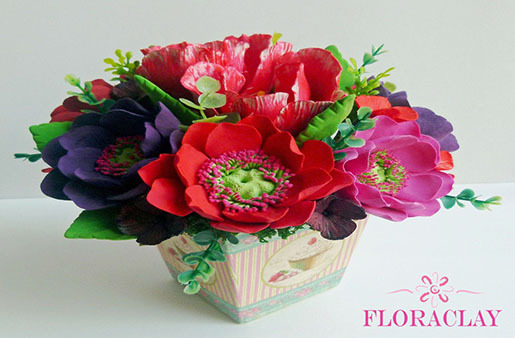 Rest assured that we do create pieces for sale that you can purchase from our physical studio or from our online store at https://floraclayonline.com/e-shop. Are you able to office custom orders and/or bridal requests? A large percentage of our clients prefer to have their pieces customized for their events. 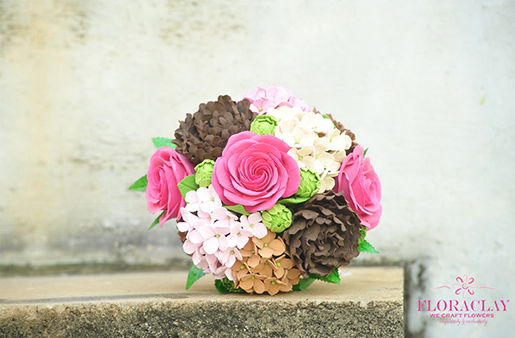 Therefore, if you are intending to custom-made for a wedding or a baby shower or just as a gifting item, we will definitely create specially for you. 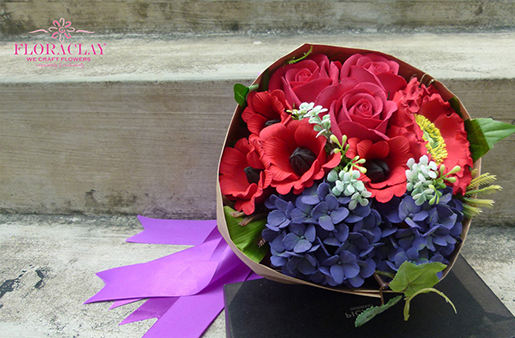 Do connect with us for a non-obligatory discussion at https://floraclayonline.com/connect.